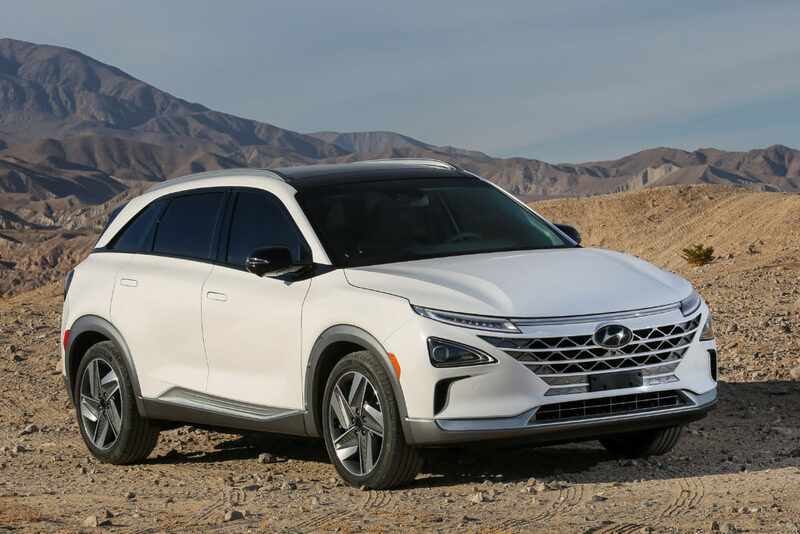 Hyundai, which beat both Toyota and Honda to market with the first fuel-cell electric vehicle retailed in the U.S., is replacing its aging Tucson FCEV with a new crossover model, the Hyundai Nexo. The new Hyundai FCEV will be available later this year as a 2019 model, but, as with the Tucson FCEV, will be marketed in California only. Hyundai unveiled the “Nexo” this week at CES 2018, the giant consumer electronics trade show in Las Vegas that increasingly is becoming a prime venue for automakers to show off their newest technologies. Fuel cell technology isn’t new, but Hyundai has continued refining its system, making it smaller, lighter and more powerful. The company says the Hyundai Nexo can deliver up to 370 miles range on 156-liter (42 gallon equivalent) tank of hydrogen fuel. That’s a nearly 40 percent improvement in range over the Tucson FCEV, which offers 265 miles of range from a 140-liter (37 gallon-equivalent) tank. Unlike the Tucson FCEV, which shared its architecture and design with a regular internal-combustion model, the Nexo is built on a dedicated platform designed specifically for fuel-cell electric components. The Hyundai Nexo is almost 11-inches longer, 1.5 inches wider and an inch lower than the Tucson FCEV. Hyundai says the new packaging improved both interior roominess and cargo capacity. 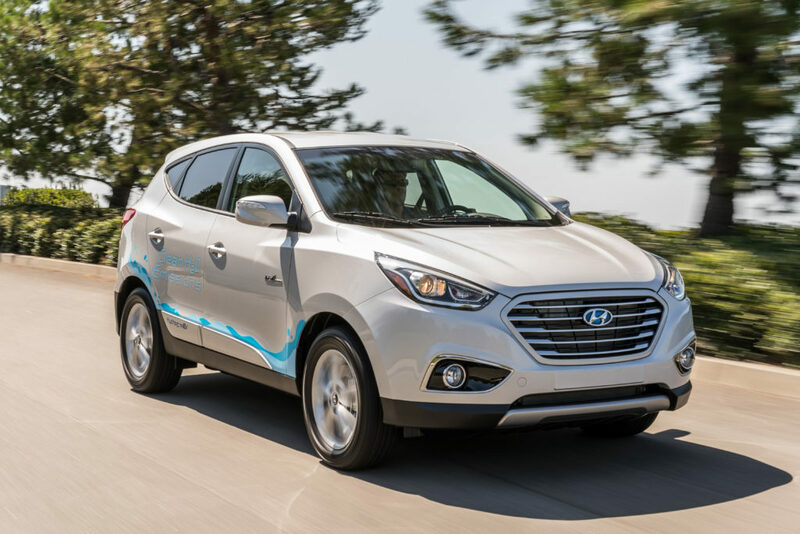 Hyundai’s new fuel-cell electric drive system produces a peak 161 horsepower and 291 pound-feet of torque, up from 134 ponies and 221 lb-ft in the Tuscon. The other technology shown off at the Nexo’s CES reveal included a highway-driving assistance system that uses map and on-board sensor data to adjust speed, lane-following assist, which can center the vehicle in a lane at speeds up to 90 mph, and an improved blind-spot-monitor that displays rear and side views on a center-mounted info screen during lane changes. Hyundai said that a remote park-assist feature that can park and retrieve the car while the driver is sanding curbside will be an available option. Hyundai hasn’t priced the Nexo yet, or disclosed the launch date.